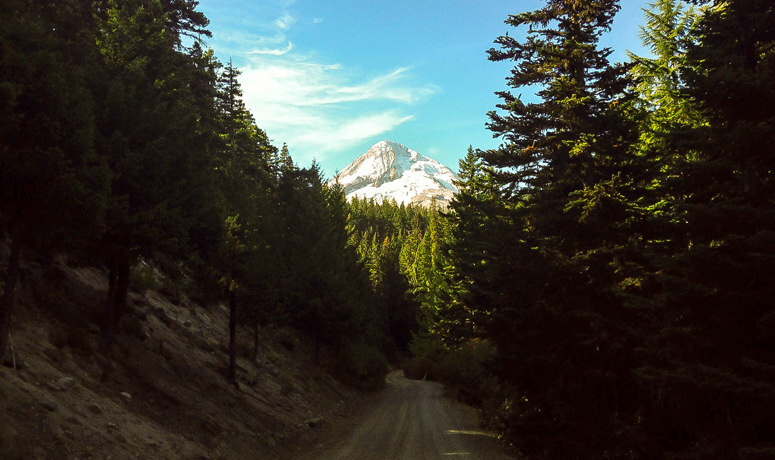 Take ten switchbacks up in the Mount Hood National Forest and right back down again. 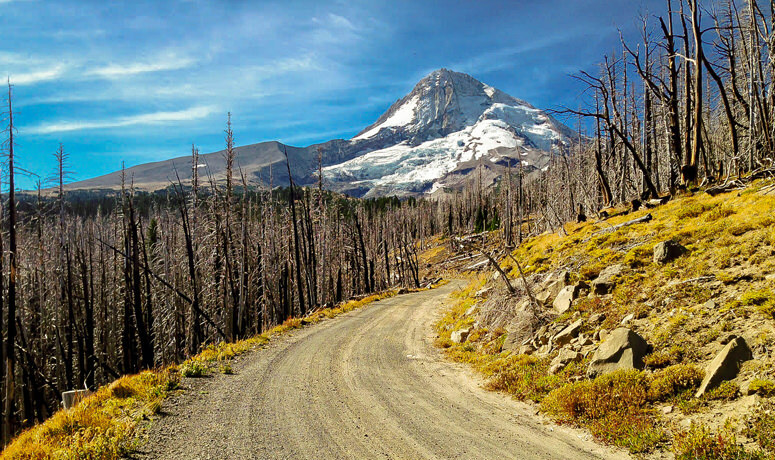 Cloud Cap Road on Mount Hood’s northeastern flank was originally a wagon road – there’s a wooden sign to prove it – that was improved through mighty effort by Chinese laborers at the end of the 19th century. 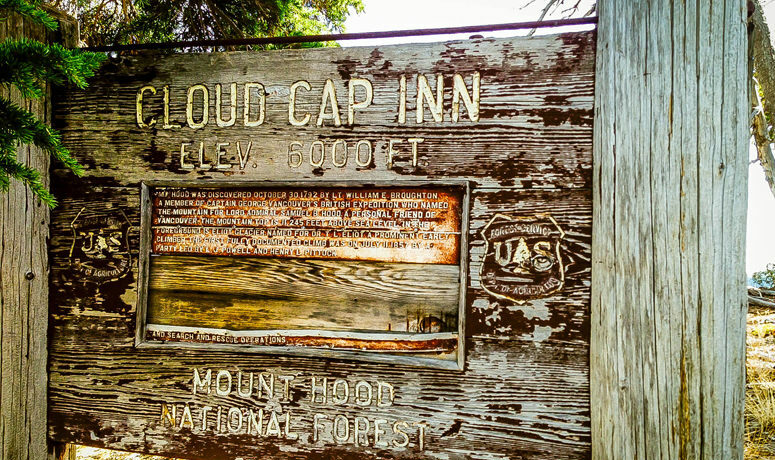 At its top sits Cloud Cap Inn, built in 1889 and listed on the National Register of Historic Places. If you pedal your way up this, you’re likely to know exactly why the Inn got its name – you might even ride through clouds and pop out above them. 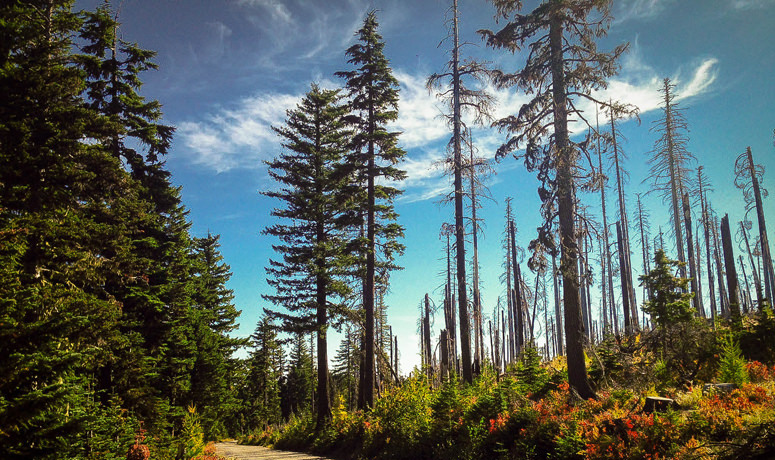 As you face off against the 2,531-foot elevation gain, you’ll travel through the black, standing dead-tree spires that remain from the Gnarl Ridge Burn of 2008, and as you near the top, pass into the lush verdant surroundings more familiar to Mount Hood. 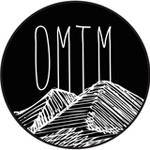 This moderate grade averages 4 to 6 percent over 10 miles, and the terrain trades off between maintained gravel and hard, rutted dirt with embedded rock. As you push your way inexorably up the grade, comfort yourself with the knowledge that the original road had a stretch of 22-percent grade that not all the cars of the day could get up – the shuttle service from Hood River stopped at the bottom of that section and people had to walk up. Now here you are, cranking your way up to the Inn on the most efficient transportation machine ever devised. 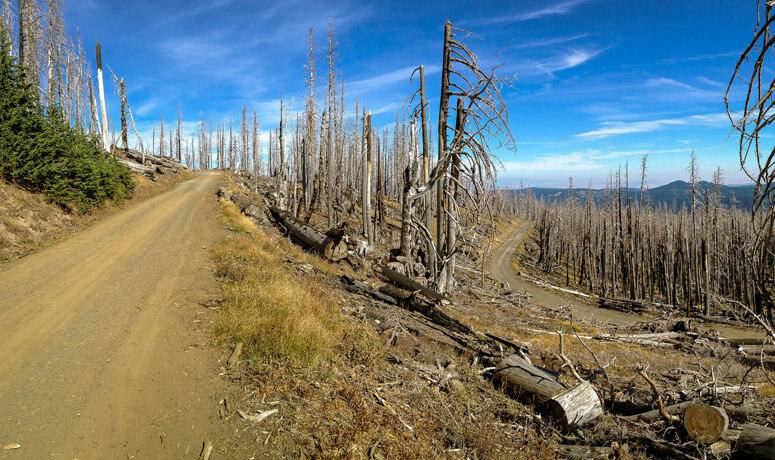 If you do the Cloud Cap ride in the fall – make sure the road is still open – you might be treated to a magnificent view out over the hills and valleys of Wasco County, as the changing colors of the trees create an almost fiery landscape stretching for miles. There are popular nearby hiking trails, plus the Cloud Cap Saddle and Tilly Jane campgrounds, so you may encounter cars, especially in the summer and fall. Because of this, as well as water bars and rocky sections, you’ll want to descend with due caution. And once you finish, you’ve joined a long line of adventurers that stretches back more than 120 years. Take a minute to think about that. Note: Cross or MTB tires (33c-40c) are recommended. You can find food and water at the Cooper Spur Mountain Resort.